The two castles which William I built on the each side of the River Ouse in 1067 were the Norman castles, called "motte-and- baily castles". 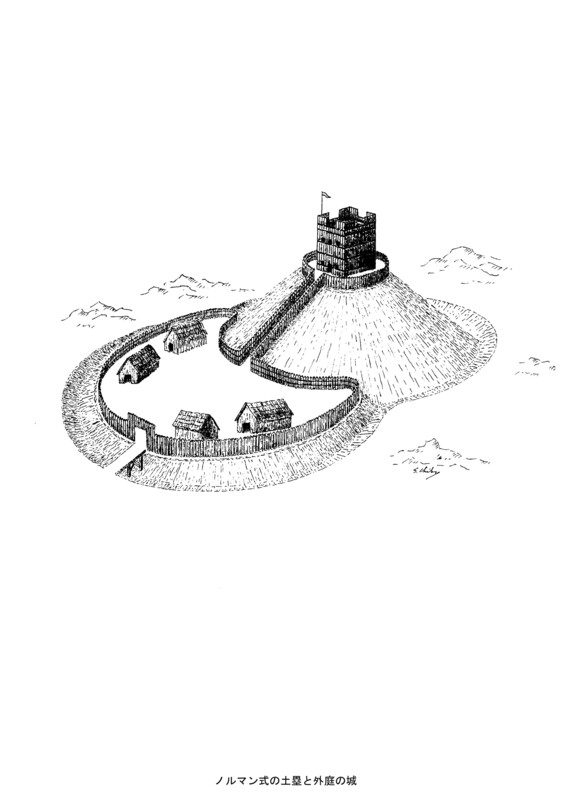 The castles were ones with a wooden keep on a motte, an artificial mound. 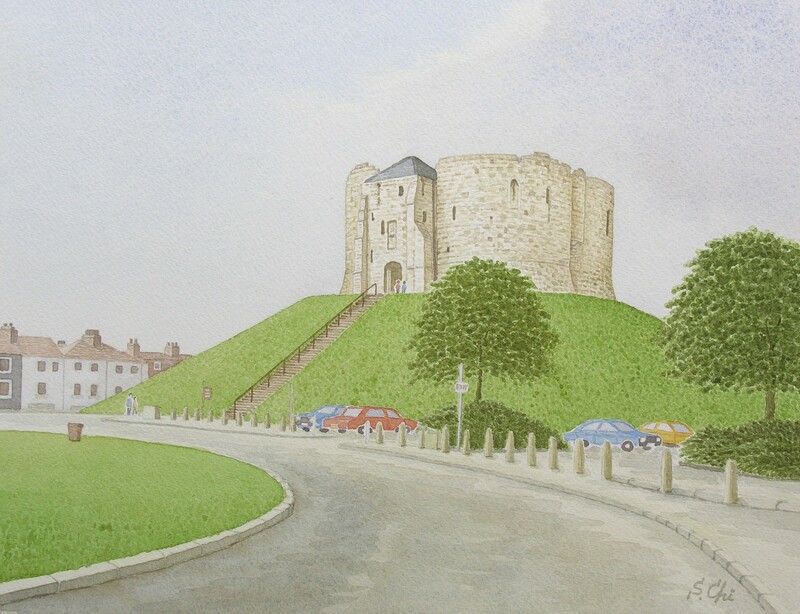 The keep of the castle built on the east bank remains as Clifford's Tower. But the original wooden keep was destroyed by fire in 1190 during the anti-Jewsh riots. It is said that 150 Jews who sought shelter within the keep to escape from a mob died when it was burned down. The present stone tower was built in the 13th century to replace it as the keep of the Castle of York. The name derives from the name of Roger, 2nd Lord of Clifford of Skipton, a member of the powerful Clifford family. He was executed possibly by hanging here in 1326, because he took part in the rebellion, which was raised by Thomas, Lord of Lancaster in 1321 against Edward II. The rebels were defeated at the Battle of Boroughbridge on the 16th March in 1322 and two Lords were captured. It is said the tower's name has been applied only since 1596, but I don't know the reason why. Clifford's Tower has a quatrefoil plan, a very unique shape even in Europe. In 1644 during the Siege of York, Clifford's Tower was damaged. It was restored after the Civil War. But in 1684 there was an explosion inside the tower. The roof was destroyed and the tower was ruined. In the watercolour painted by F. Place in 1699, Clifford's Tower was still surrounded by the walls and the other buildings of the castle. I can see that the Castle of York was a large and impregnable fortress. On the west side of the river, the mound called Bail Hill is there, the only remains of another castle.